An enduring American classic, Oliver La Farge’s Pulitzer Prize-winning first novel captures the essence of the Southwest in 1915. At a ceremonial dance, the young, earnest silversmith Laughing Boy falls in love with Slim Girl, a beautiful but elusive “American”-educated Navajo. As they experience all of the joys and uncertainties of first love, the couple must face a changing way of life and its tragic consequences. 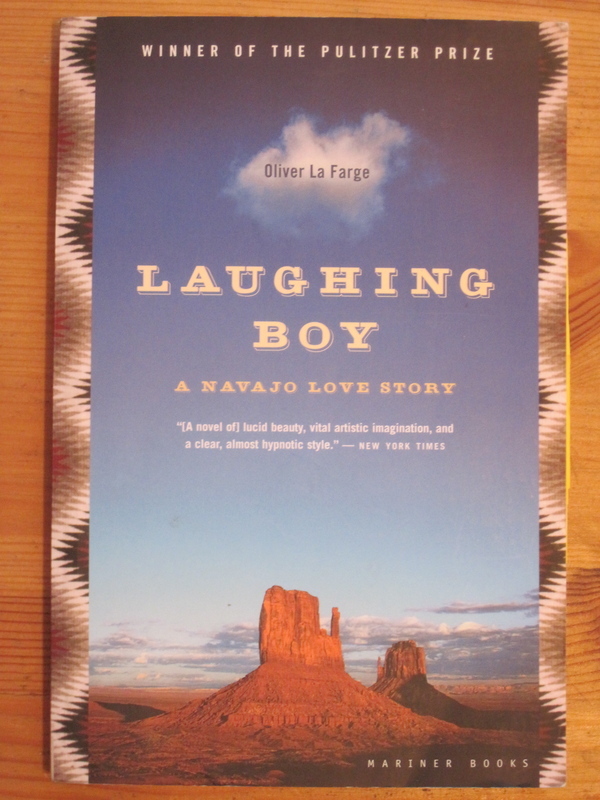 Laughing Boy follows a young Navajo as he encounters, and falls in love with, Slim Girl, a Navajo who was taught and raised in “American” schools, instead of growing up with the native traditions in a Navajo family. Despite the warnings of some of his friends and family, Laughing Boy marries Slim Girl, and soon finds himself in unfamiliar territory, living away from the traditional Navajo villages, on the edge of one of the “American” towns. Slim Girl uses her knowledge and familiarity of the town to control her husband, having a larger plan to use Laughing Boy to bring her back to the traditional Navajo ways, and getting back at the white people for her education and upbringing. As the native and white cultures continue to clash, both between people, and within Slim Girl herself, and as she finds herself actually falling in love with Laughing Boy, both their worlds are left in turmoil. While I’ve read a several westerns, often portraying the Native Americans as the savage antagonists, and even some books looking at reservation life in the modern era, such as Sherman Alexie’s fantastic The Lone Ranger and Tonto Fistfight in Heaven, I haven’t read much about the first few generations of Native Americans in the reservation system. I started the novel without any knowledge of era and culture in Navajo history, and came out of it with a much better understanding. This is primarily because Oliver La Farge constructed the novel from a place of experience. An anthropologist by trade, he spent much time in the Navajo territories of New Mexico before writing the novel, and would go on, not only to write several non-fiction works about the Navajo people, but was also the president of the Association on American Indian Affairs for several years, championing the rights of the Native Americans to a government that largely attempted cultural assimilation when it came to the Native Americans. The three jury members, however, ultimately decided to collectively agree on Laughing Boy as their recommendation, however the jury report included thoughts from each of the members on what they thought the best novel should be, because, as Fletcher wrote in the report, “since the Trustees have reserved the ultimate decision to themselves, it seems advisable to let each member of the committee speak for himself.” Which is clearly a slight directed at the Prize Committee’s repeated selection of a novel besides the one recommended by the jury.